Legislation would make English the sole language on driver's license tests. The Missouri House has given first-round approval to legislation that would require driver’s license exams be given only in English. Currently, the state of Missouri provides the written driver’s exam in English and eleven other languages. GOP House Member Mark Parkinson of St. Charles, says his bill follows the spirit of the state constitution’s mandate that public proceedings be conducted in English. “I looked a real quick search…if it’s on the Internet, it has to be true…but there’s 6,999 different spoken languages and dialects throughout the world, and why are we only catering to eleven and not every one?” Parkinson said. Opponents argued that the bill would discriminate against legal immigrants and interfere with their ability to earn a living. 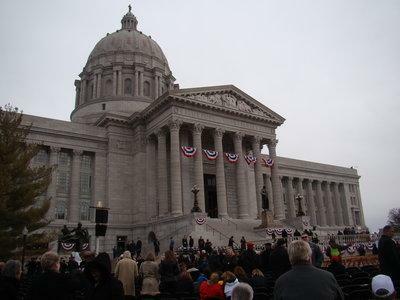 It needs one more House vote before moving over to the Missouri Senate.